Free food...what's not to love? Wild garlic - or ramsons - are found in most areas of England, particularly in damp woodland. Mr. Miser has found a large source about 5 minutes from our house, so I've been enthusiastically stuffing our soups and salads full of the stuff. I made this pesto at the weekend, and I just had to share. 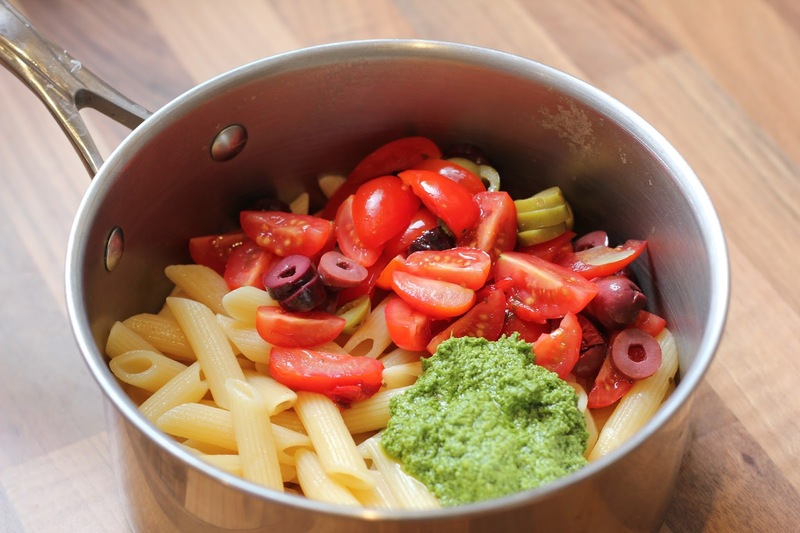 It has a rich, saline punch which will lift a bag of vale pasta to new culinary heights. 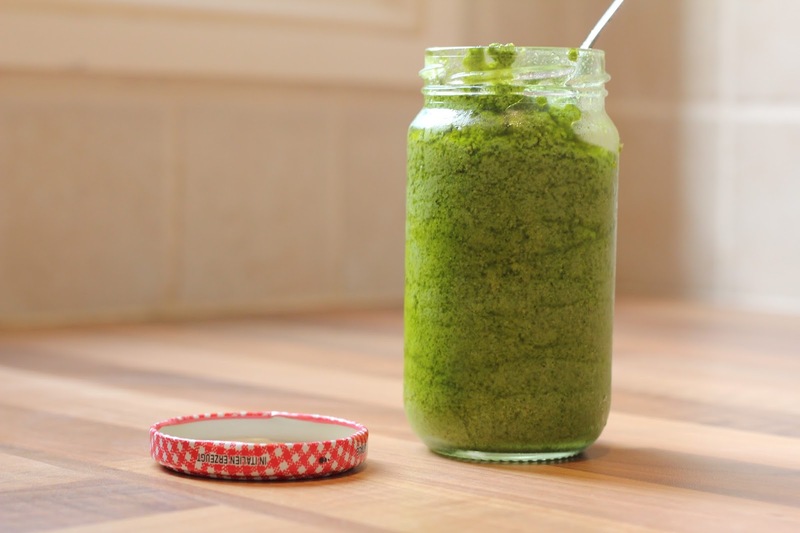 Tip all of the ingredients into a blender or food processor, blitz 'til smooth. Season well with salt (more than you think you need!) and pepper before tipping into hot sterilised recycled jars. The pesto should last a few months unopened in the cupboard, but I keep mine in the fridge, just to be sure! 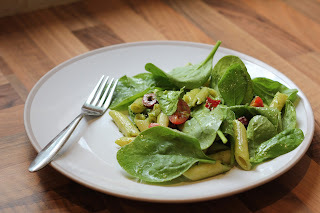 We tossed pasta with the pesto, some chopped olives, tomato and spinach for a simple summery supper (if I were at the top of my frugal game, I'd have served a side of salad of dandelion leaves instead! ).